Meyer Tool Supports Challengers Baseball - Meyer Tool & Mfg. If you stop by Bettehausen Park in Tinley Park, Illinois, on a Tuesday night through the months of May, June, and early July you will find the true spirit of baseball. You will find the Tinley Park Bobcats community baseball program’s Challengers division for young athletes and their families who do not allow developmental disabilities to prevent them from participating in the national pastime, hard at play. Unfortunately, playing on traditional baseball fields meant that despite this opportunity, some are still unable to participate. Community advocates Denis & Lois Murphy and Rich & Dawn Granata dreamed of somehow providing an accessible field specifically designed to eliminate restrictions and allow more players the opportunity to overcome deterrents to playing. Thus, the campaign to raise funds to build the Challengers handicap accessible baseball field was born! ​Founded by Mike Berkery in 1995 with 9 original baseball players, the Challengers goal is simple: give everyone a chance to play baseball. 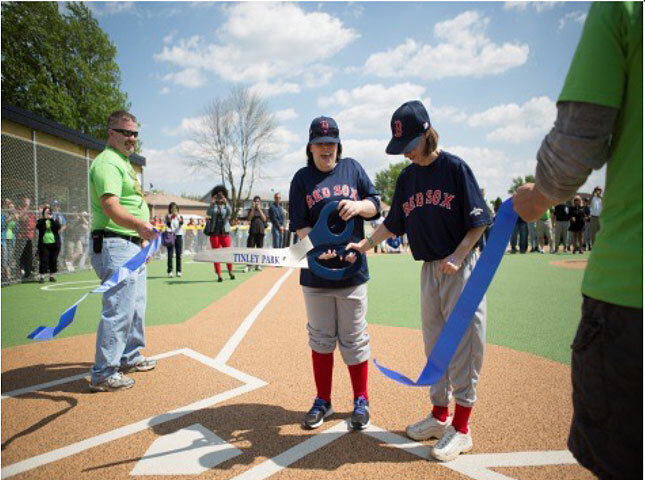 For many individuals with disabilities, a traditional baseball field of grass, gravel, and dirt is a barrier to playing the game. For some, playing baseball on a traditional field is difficult, dangerous, or even impossible. Because there were no handicap accessible baseball fields in any of the communities that are served by the Bobcats, the Challenger players had to play on a traditional field. 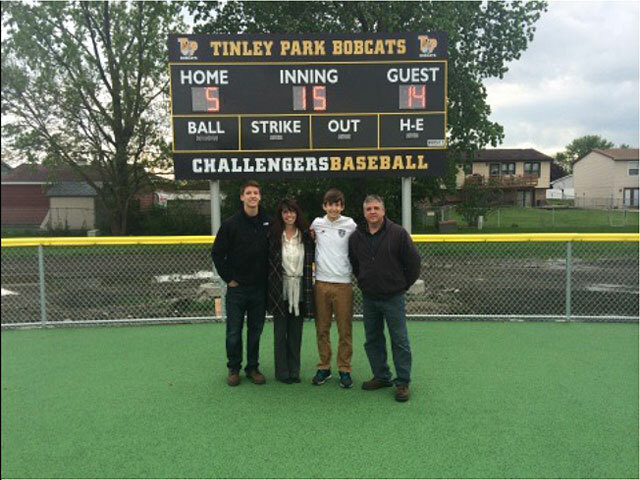 To reduce these barriers, the Tinley Park Bobcats developed a plan to build a handicap accessible baseball field comprised of a rubber safety surface that would eliminate the challenges and restrictions of a grass and dirt field. This rubber safety surface field would help those who use crutches, a cane, a walker, a wheelchair, or other assistive devices for ambulation, or those who have an unsteady gait, play baseball safely. 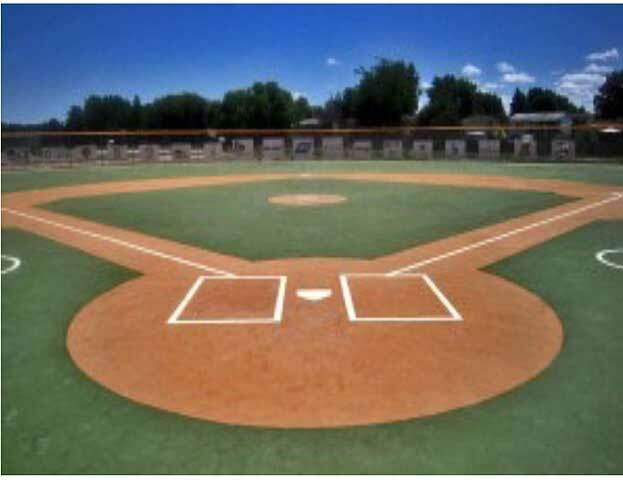 There would be no raised bases, uneven surfaces or raised mounds…just one smooth, continuous rubber playing surface. And with the support of partners like Meyer Tool and many others, the Bobcat mission was accomplished in record time. The goal was to complete the project by Opening Day in May, 2014 and on Sunday, May 18th, Meyer Tool was invited to the Ribbon Cutting Ceremony and Opening Day Parade. With over fifty players signed up this year ranging in age from 5 to 27 years old, Coach Granata states, “We have many different special children with diagnoses including Autism, Cerebral Palsy, Angelman Syndrome, Down’s Syndrome, Neurofibromatosis, and many, many more. Each player is an All-Star and will play in an end of the year All Star Game.” Rich reports that beyond following basic safety rules, the Challenger Division tailors certain rules to the skill level of the players; however, the games are played on the same size fields, use the same equipment, and wear the same full uniforms as the rest of the Tinley Park Bobcat In-House Baseball League. The teams are supported by coaches and young volunteers. The “buddy system” is useful when assistance is needed while ballplayers are at bat or on the field. Buddies help by providing wheelchair propulsion for rounding the bases or by chasing a hard hit ball on the field. Most importantly, there are no strikes, no outs; everybody plays, everybody wins. Meyer Tool is so proud to play a small part of making this field a reality. The Challengers league is not about competition; rather, it is about something greater, sportsmanship, teamwork, and accomplishment. We know with the current season underway even more players and their families are enjoying the camaraderie of baseball at its best. All that is left to say is…Play ball! View our slide show of the Ribbon Cutting on our Facebook page. Challengers are for boys and girls 5 years old and up with special needs. If your child with special needs would like to become a Bobcat Challenger, visit the Bobcats’ home on the web at www.tinleyparkbobcats.org. 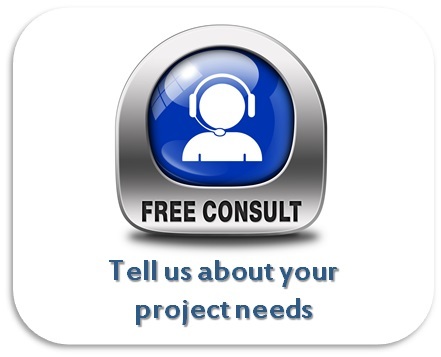 If you would like to donate to the next phase of the Challengers Field development including lights for the field, please visit http://www.challengersfield.com/our-project.